Please meet gorgeous Queen Bee!! 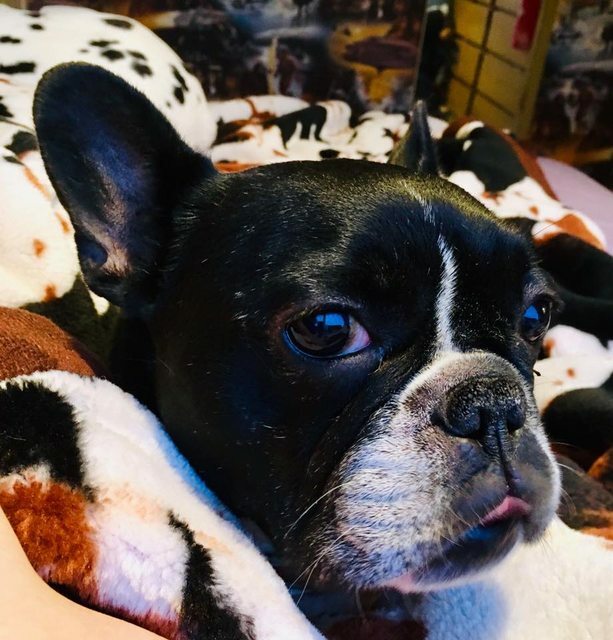 Queenie is a gorgeous French Bulldog that is just 4 years old, She came to us after her owner could no longer cope with her dominant behavior around other dogs. Queenie is an extremely sociable little lady. She could happily live with other dogs and children. She needs a home that is experienced with the breed as she is typical, head strong and stubborn. Queenie is a young playful girl, she loves a ball and toys and loves to play with other dogs, she is quite a rough play dog and very vocal with it! 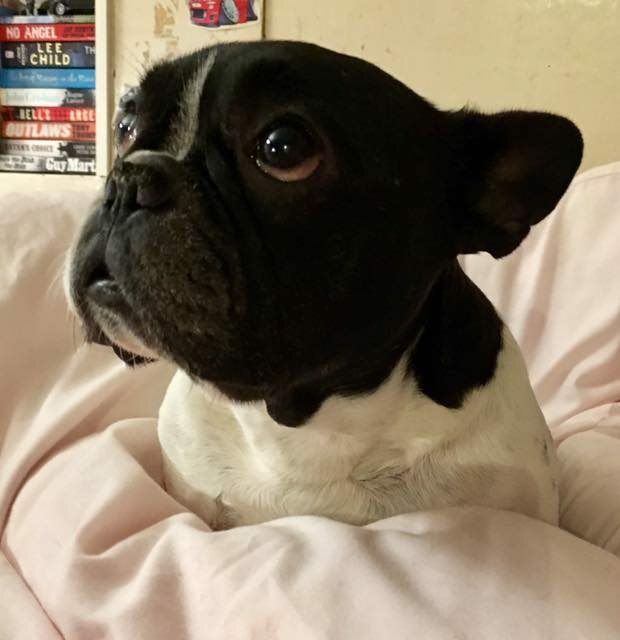 Queenie is fine to be left for short periods – She will just stay in bed! She is also non destructive. Queenie is the most cuddly loving little dog and I absolutely adore her, She loves to snuggle with me, and cover me with kisses. 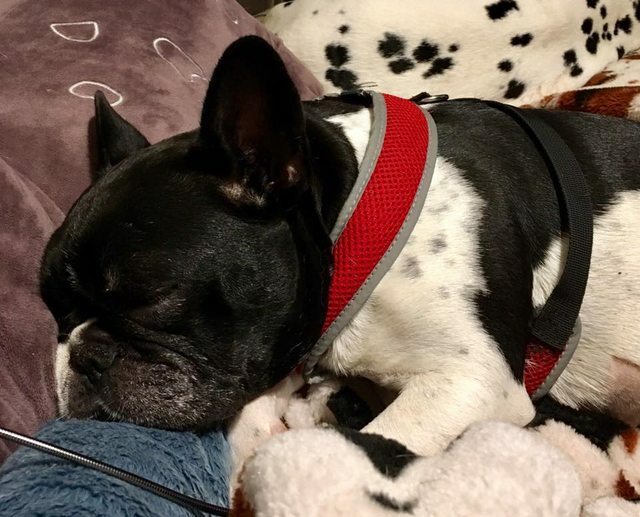 She absolutely must be allowed on the furniture and in the bedroom at night, she will happily sleep in her bed in your room, but she would much rather cuddle up with you in yours!! She is full of confidence and will greet everyone she meets! She travels very well in the car and is a really good little girl. She walks perfectly on the lead and is a total joy to own. Queenie is spayed and microchipped, de flead and wormed! Can you give this gorgeous little lady the perfect forever home? Please email us for a pre adoption.